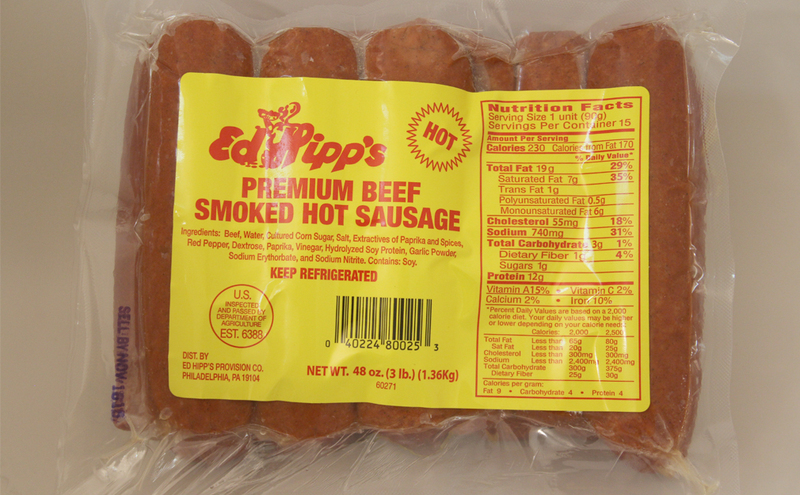 Ed Hipp's Premium Beef Smoked Hot Sausage, 3 lb. package - Ed Hipp Foods, Inc. This is a very good, spicy sausage that can be used in a variety of ways. You can grill it, bake it or fry it, and it will satisfy your taste buds. Our Premium Beef Smoked Hot Sausage makes a delicious sandwich on a steak roll, Kaiser roll or sausage roll. It is an all-beef product with no additives. Product also available in 1 lb. package.